Wizard's Tower is a "free for all" game. It was ment to be simple, so there will be no imported spells and stuff. 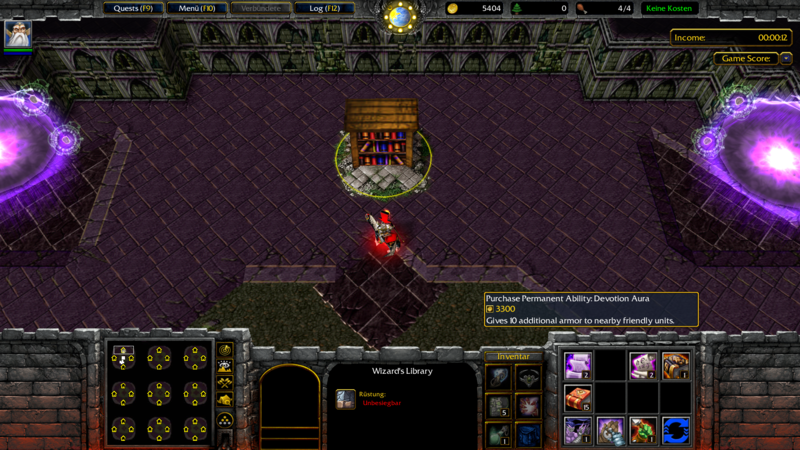 Just spells, items and mechanics that are typically for Warcraft 3 maps. Defend your Wizard Tower against hordes of enemies! You can buy items and consumables, upgrade your tower or summon units to increase your defense. Dont forget to put enemy wizards under pressure and increase your income by sending units! As your "attacking units" will attack every single enemy wizard, the game experience will differ with the number of total players. Win the game by being the last wizard alive! Your Wizard Tower must not be destroyed. 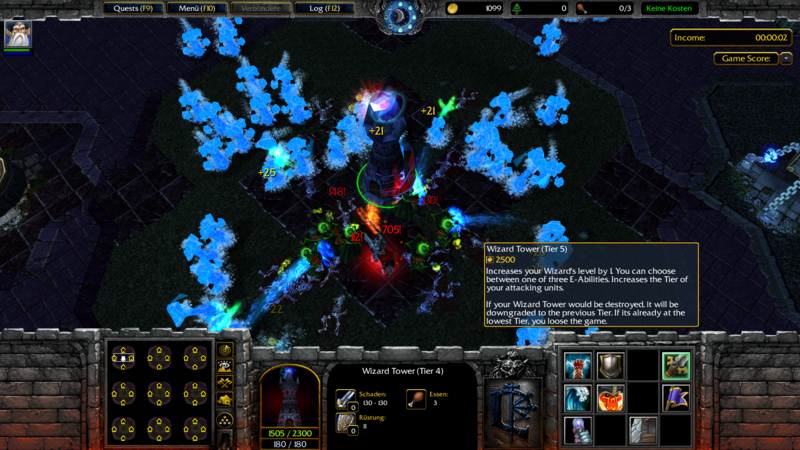 Send water and fire elementals and infernals to destroy the enemy wizard towers! Upgrade your Wizard Tower to a new tier. If your Wizard Tower would be destroyed, instead its tier is reduced by one. If its already at the lowest you will loose the game! By upgrading your tower to a new tier you will have access to new hero abilities and new defense- and attack- damage upgrades. Your wizard's level is always equal to your tower's tier, so it also will downgrade when your tier is decreased. 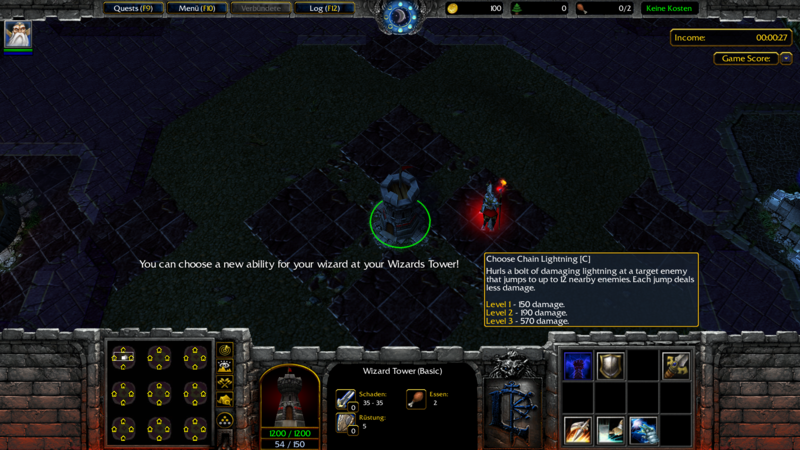 You get access to new abilities by upgrading your Wizard Tower. You can choose between different spells. There is also a shop that allows you to learn different passive abilities and auras. You also need that shop to increase the level of your abilities during the late game. When your tower's tier is downgraded, you may loose levels of your abilities or even certain abilities at all until you upgrade the Wizard Tower again. Make sure to increase your wizard's power with items and consumables. Consumables will stack, but there are no reciepes to craft. The game was ment to be simple, so just sell old items and re- buy better items instead. Your income is increased by sending attacking units like water- and fire- elementals or infernals. The greater your Wizard Tower's tier, the greater the tier of attacking elements and infernals you will send. There are some creep waves that will attack your tower as well. So its not only units other players have sent you must be aware of! - Changed the icon and name of "Infernal Cloak of Flames"
Absolutely everything is based on gold, maybe some things like the spell upgrades on lumber? Honestly, it makes me wonder, seeing your other map with its descriptions and stuff, did you actually make them (both maps I mean)? 1. i will change it. 2. well i thought about that but i wanted to keep this simple. The idea of this map was not to be similar to "line tower wars" or "line hero wars" but as i worked it out the play principle appered to be similar to those maps in some points. Like in those maps i wanted to limit the currency on gold. The players part is just to prioritize what to buy next. Yes i did both maps and i will upload my 3rd map in a few days that might will make you wonder again. 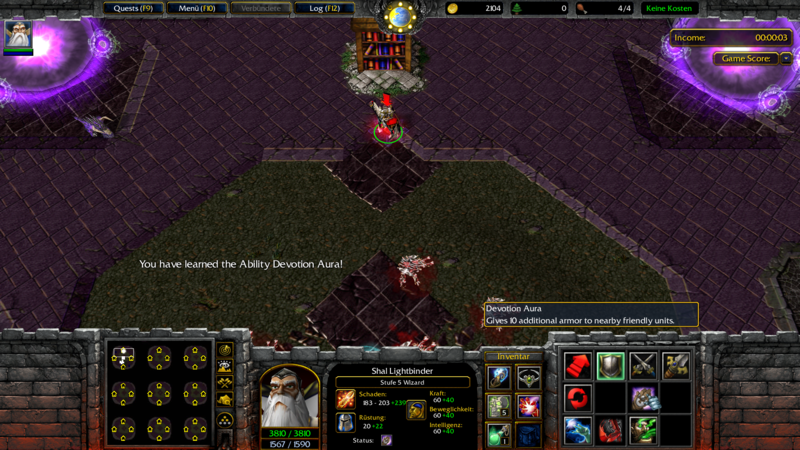 For example i did not do that good tooltips for RPG Hero Arena spells because i think everybody knows what that spells are supposed to do as well as upgrading a spell just makes it stronger. Wizards Tower was created while i worked on my other maps for a long time so i already knew what i need to do right from the beginning.